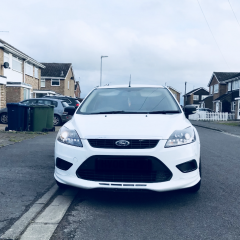 Does anyone know which st and rs intercooler and cold air inlet pipes are interchangeable with that on other models and which of those are? Or is it just a matter of getting them and trying them? Intercooler pipes are different. The airbox is the same size on all models though so you can get the RS lid for it. St intercooler(ic to throttle body) pipe doesn’t fit on a diesel mate? No, they're completely different engines, the pipes aren't the same shape at all. They're even different between the diesels, let alone the ST. So it doesn’t fit mate?